Today is the day we got some color on the walls. The dining and living rooms are DONE. We just have to tear down the tape and paper and do some minor touch ups. 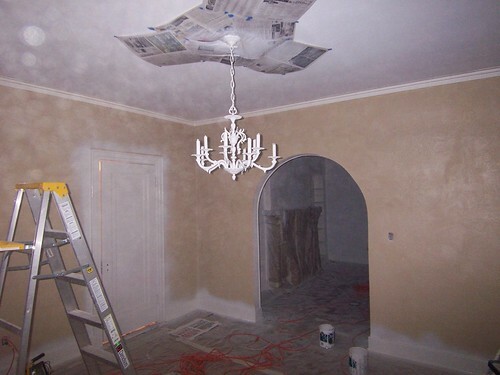 I’m still obsessed with the white chandelier. My mom came up and helped us with tape and a few other random things. 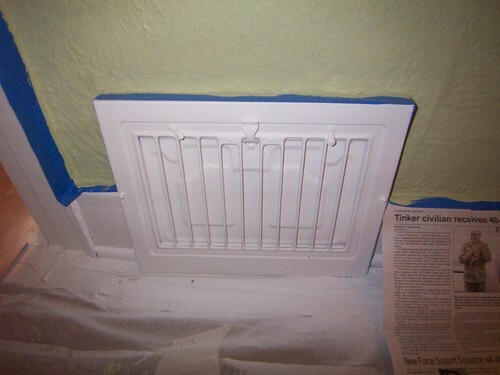 She also treated us with new vent covers! I love them. They’re one of those little details that really polish off the look of the place. It’s kind of putting the cart before the horse when we’ve still got some baseboard finishing work to do but I couldn’t resist putting these in. 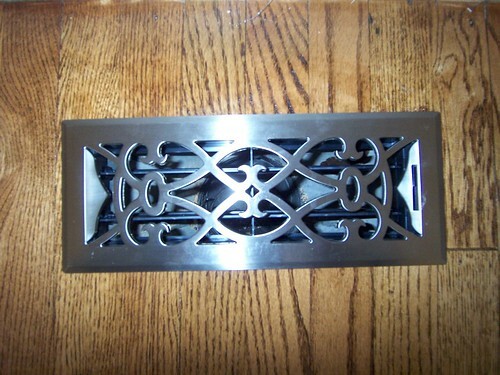 We still have the original vents throughout the house. I love them. I remember when we first peeked through the windows of this house thinking they were clunky and scary – but with a fresh coat of paint I think they’re charming. 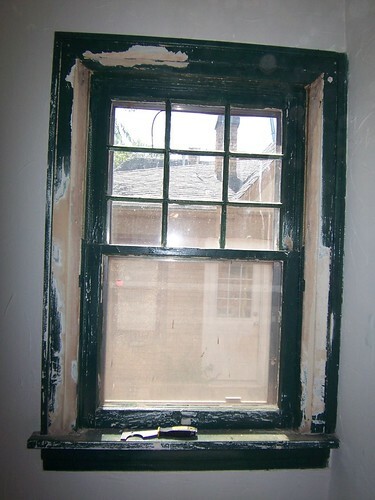 We also tried to strip the bathroom window. I think the wood is being held together by the paint so I just sanded down the edges we chipped off and Jeremy soaked it in primer. Prohibition never tasted so good. 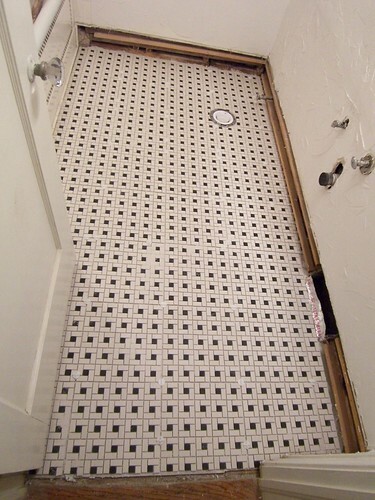 Today is the day we put tile down in the bathroom! I could just stare at it. For hours. 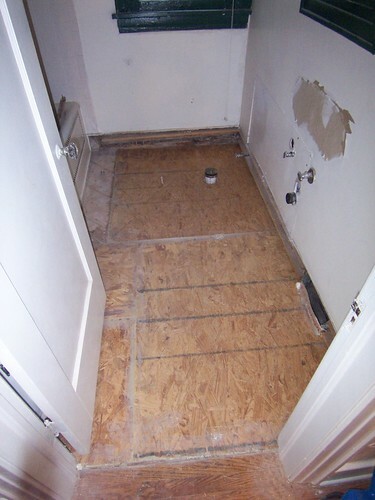 Yesterday Jeremy and I laid the “HardieBoard” down over the subfloor. We even did it the correct way by putting a layer of thinset mortar underneath. 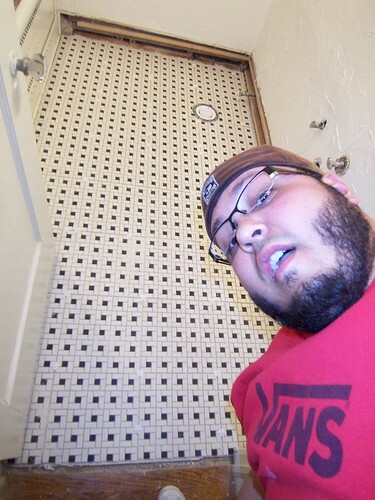 Our good friend, Mario, came over tonight and helped us lay some tile. Meet Mario. He was actually one of my interns a couple years ago at work. Also a graphic designer I put my trust in him with the visual accuracy it takes to lay tile. Also! 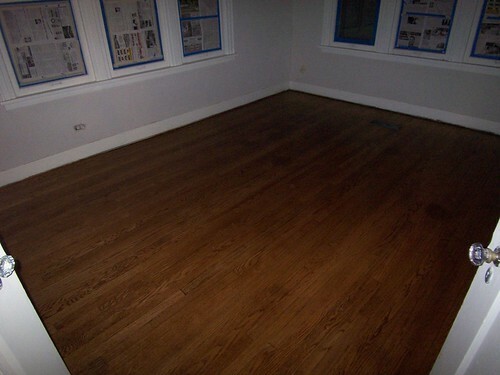 Today our wood floors were finished being refinished. They look fantastic. It makes me wish I had done the entire house. Or maybe the entire hallway seeing as how we’ve trashed the floors in front of the bathroom with all the work that’s been done. Oh well. Jeremy finished painting the trim in the living room and dining room. 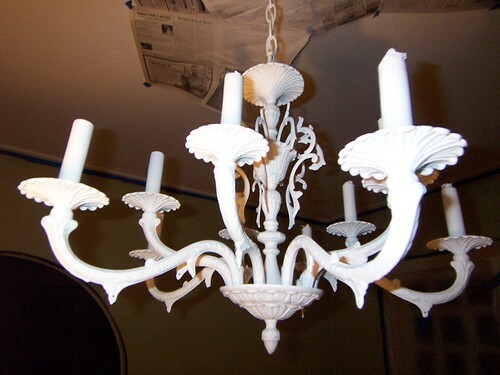 We also finished painting the chandelier. I think I got the paint on there a little thick but that’s okay. I’m going more for an overall impression rather than focusing on the details. *Note: I might need to get white wire for hanging the crystals back on. 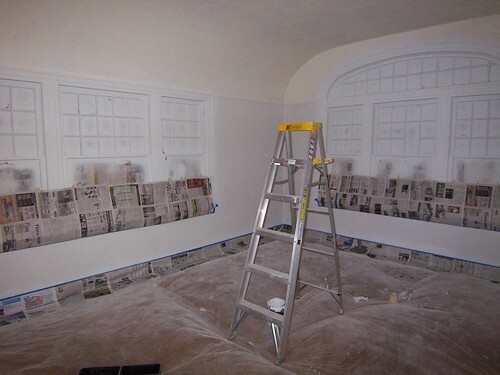 Now we’re just finishing prepping the rooms for the wall color. I absolutely cannot wait for these rooms to be finished. Expect a lot more progress in the next few days. I will try and keep you updated! This weekend was about taping. And taping and taping and taping some more. Our family taped (thank you)! We got the living room and dining room completely taped off. 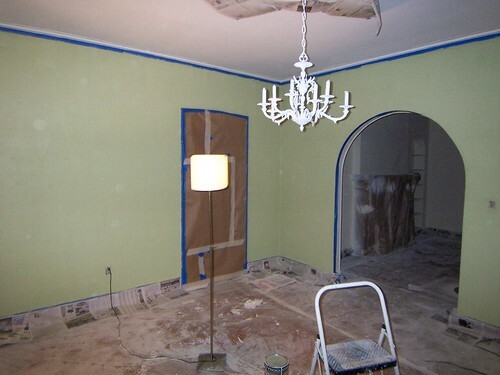 Today we managed to primer the living room and dining room trim. 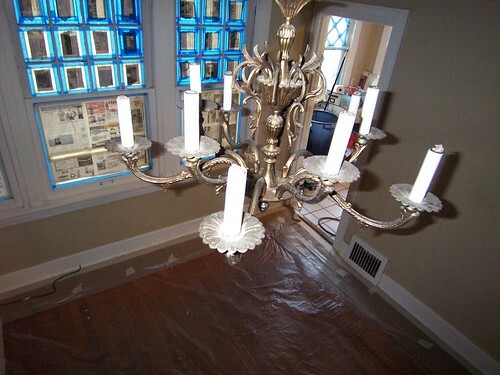 Here’s the chandelier in the dining room after all the crystals were removed. 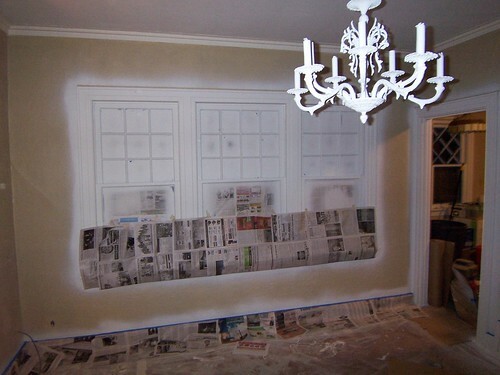 Here it is after today – all primed white. Look how creepy our house looks. It’s so dark and dank with everything painted and all lights removed. Also, now that we’re painting over the taped up windows it’s getting even darker. We’re painting our trim (Bright White) tomorrow. We also had our plumbing fixed this weekend. When the plumber manager walked into our house she said it looked like a scene out of “Ghost” – I knew I liked that lady! Check out our new pipes! PVC! No more lead poisoning our poo. 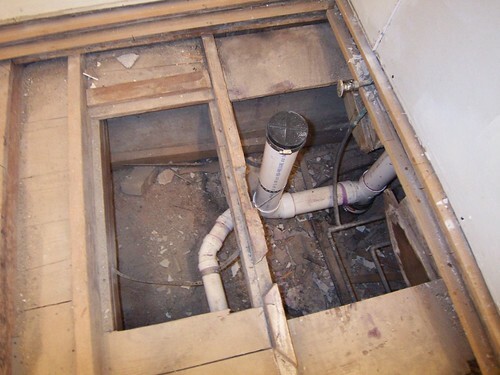 A&B Plumbing did this for us and we were really happy with the service. They came in on Sunday, were honest and got it done. And today we had our subfloor put in by our friend, Jon. And I was just getting used to seeing the guts of our house all exposed. We need to buy some “hardy board”, which is basically a 1/4″ of concrete sheet that we’ll put on top of the plywood subfloor. 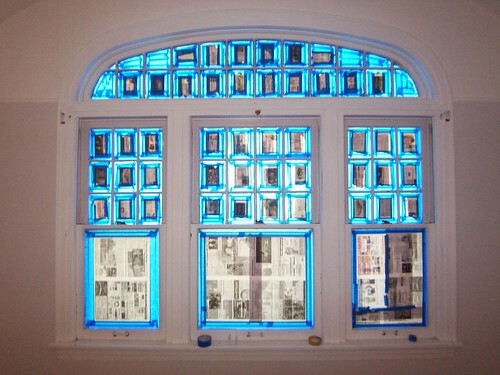 We’re aiming to get this installed tomorrow along with painting the trim and chandelier in the living and dining room. And our floors were sanded down today. They’ll be finished by Thursday or Friday. 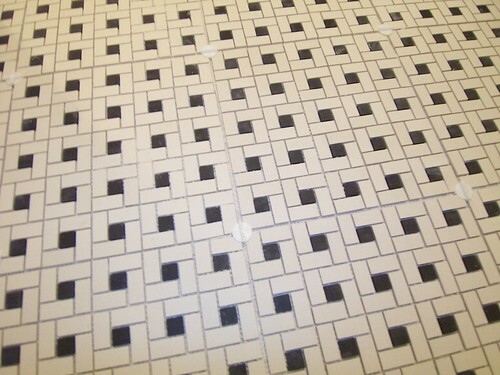 The bathroom tile has been ordered! 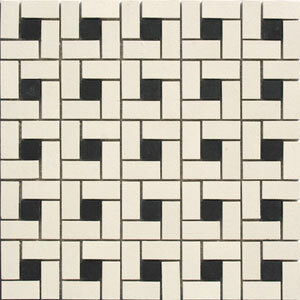 Black & White unglazed porcelain tile in a spiral pattern. We had our bathroom pipes replaced with PVC on Sunday. 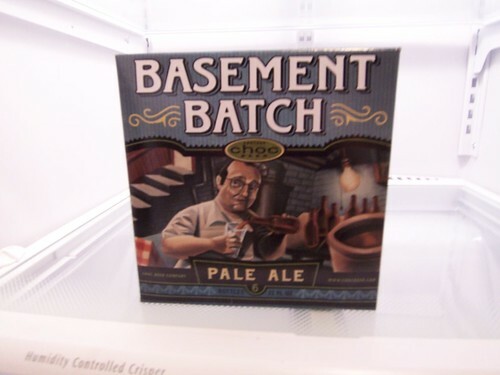 Today our friend is coming in to put in our subfloor. The tiles should hopefully be coming in on Wednesday, which we will be installing ourselves. 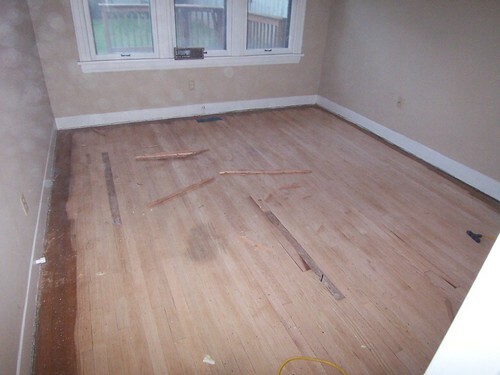 Then we’ll just have to texture, paint and replace the baseboards. Our plumber will come back in over the weekend to install the sink and toilet. Then we’re DONE! Do the tiles come individually? How do you install that!? The answer is NO. They do not come individually. The tiles, fortunately, come in sq. ft. section backed with mesh. This means we can tile 1 sq. ft. at a time. I’ll have another update this evening about our weekend progress!